Paul Goldberger, a prize-winning critic of architecture, has written an impressive biography of Frank Gehry, one of the most famous architects of our time. Gehry is unusual in that he not only tried new materials, design and form, which resulted in the extraordinary Guggenheim Museum in Bilbao, Spain, and the Walt Disney Concert Hall in Los Angeles, but he also built houses accepted and loved by the general public. Now 82, Gehry was born in Toronto, where his Jewish parents had immigrated from Poland. At school, Frank was always drawing, and also making shapes out of cardboard and pieces of paper. At one point he attended Bloor Collegiate where he took woodshop and was skillful at installation work and meticulous about measurements. The family moved to Los Angeles, where Frank eventually studied architecture at the University of Southern California. This book gives an excellent description of how his career developed with very good photographs of his highly original buildings. Frank’s parents were Irving and Thelma Goldberg. Frank and his first wife ran into some anti-Semitism and they changed their name to Gehry. 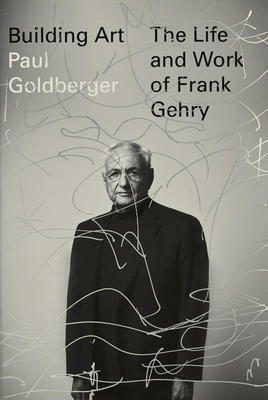 In this book, Goldberger feels that Frank Gehry approaches his buildings as a painter would his canvas. He has written a sensitive and fascinating biography.